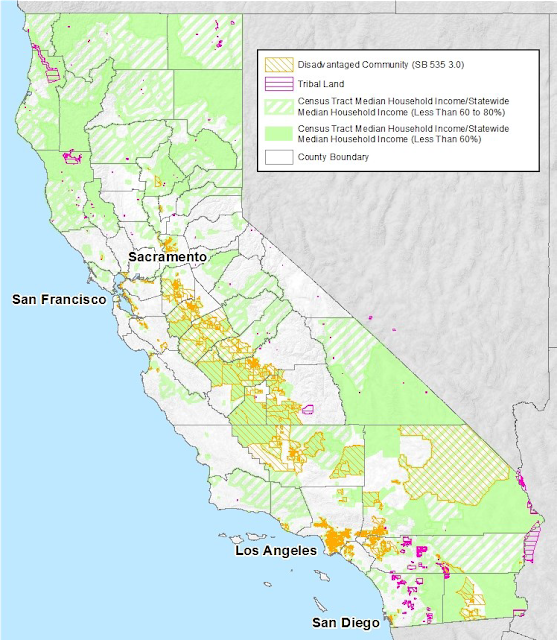 In California many low-income and disadvantaged communities are increasingly affected by climate change impacts. Many lack access to renewable energy, energy efficient housing stock, and clean energy jobs. These energy equity issues, and the opportunity to mollify them, are identified in the California Energy Commission’s tracking progress report on energy equity report. The report identifies opportunities for increasing access to renewable energy, building efficiency investment, and energy resilience in low-income communities. The report is an outgrowth of Senate Bill 350 and a subsequent low-income barrier study. The energy equity report identifies opportunities to impact low-income communities by census tract, zip code or county, depending on available data. • Low-income communities are expected to see higher temperatures due to climate change. In particular, low-income communities in the San Joaquin Valley, where there are high levels of asthma and heat-related emergency room visits, will likely see more visits due to expected increases in hotter days between 2035 and 2064. • Many San Joaquin Valley counties scored in the bottom 20 percent in terms of clean energy jobs per 1,000 people. • Rising temperatures are expected to deepen the economic burden, especially on low-income communities in Southern California. The economic burden was pronounced in more than 140 low-income tracts in Southern California Edison’s (SCE) service territory -- where the average August electricity bill was greater than $300 in 2014. • The average August bill for SCE customers, by census tract, was $157 during the same period. The energy equity report expects many of the 140 tracts will see a rise in temperatures, on average, between 2035 and 2064. In Northern California, some climate change impacts arise during winter, and from old housing stock. 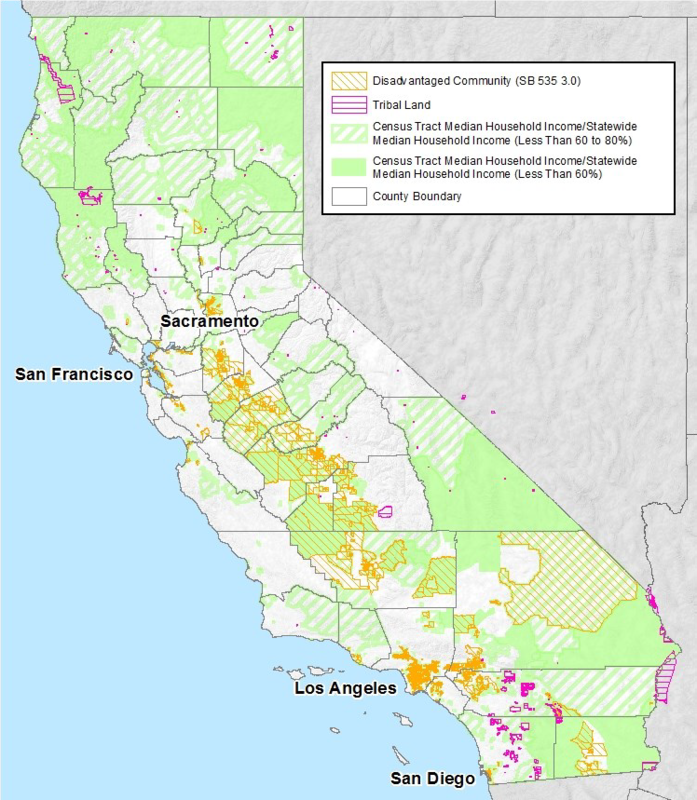 The report suggests that energy efficiency upgrades, such as insulation and the installation of dual-pane windows, may benefit low-income communities in Northern California. That’s because some communities have a high percentage of buildings built before 1979 and the investor-owned electric utilities have had a low level of investment in energy efficiency. Improving energy efficiency in indoor heating systems may produce benefits in Humboldt County, which ranks high on per capita emergency room visits due to asthma, the report said. 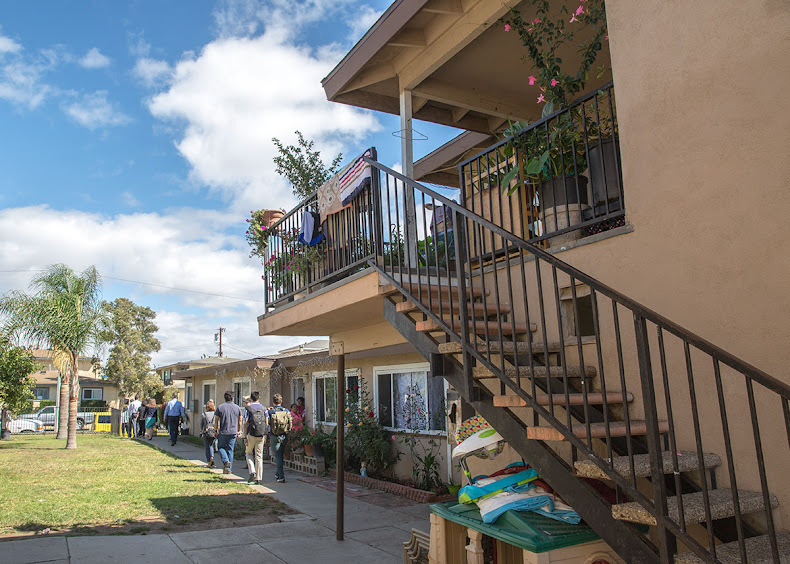 The report recommends expanding outreach and investment for energy efficiency, development of rooftop solar and access to electric vehicle infrastructure can benefit low-income communities throughout California.